What a unique location for this Cliff Side House! The views are mesmerizing. 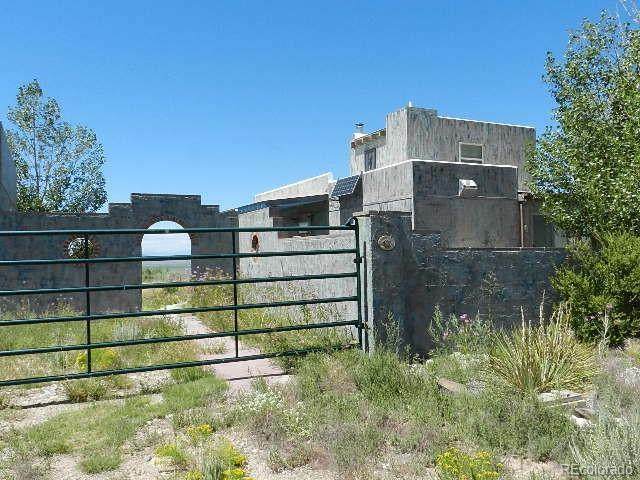 The house is a concrete custom home built overlooking the San Luis Valley. The home has wonderful southwest and mexican artistic touches. Murals and trompe l'oeil touches throughout the house. 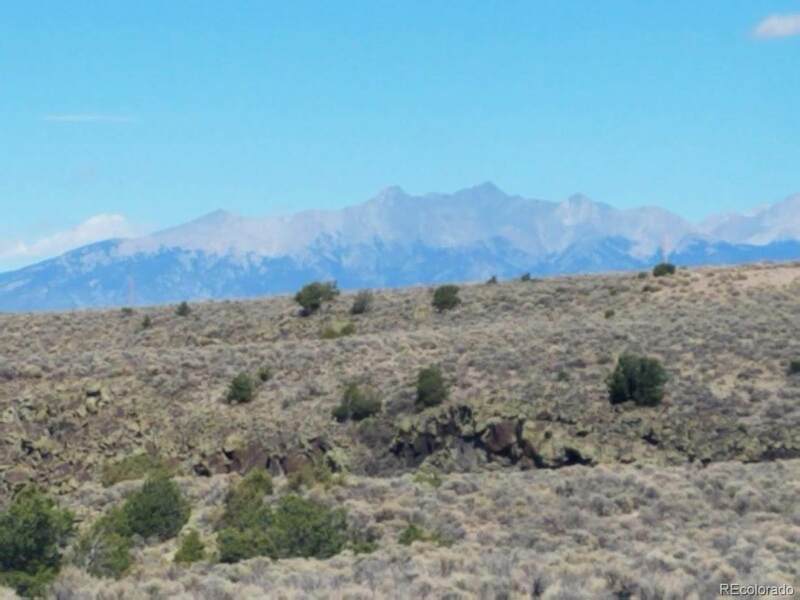 Views go all the way to New Mexico and across the valley to the San Juan Mountains. 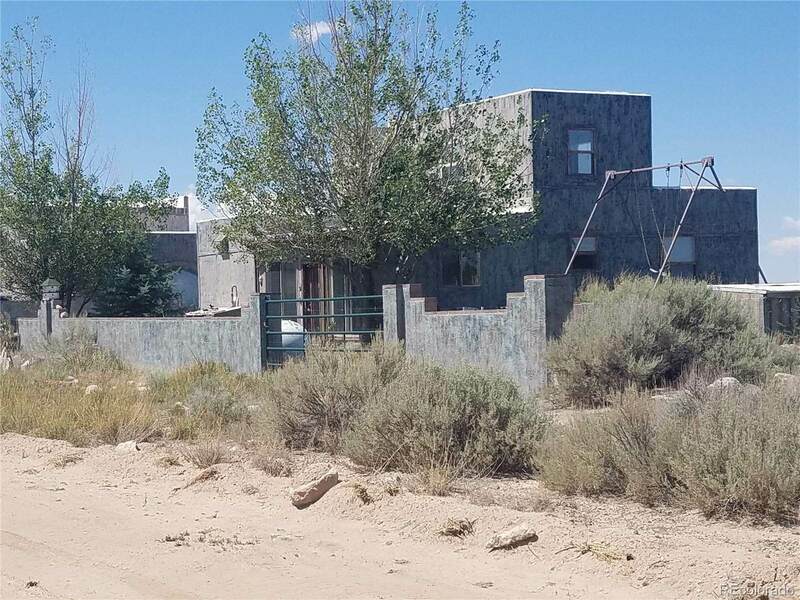 This home is totally self-sufficient! A water catchment system supplies the whole house and the garage with guest quarters. Water is gravity feed to the house- never dig a well or haul water! 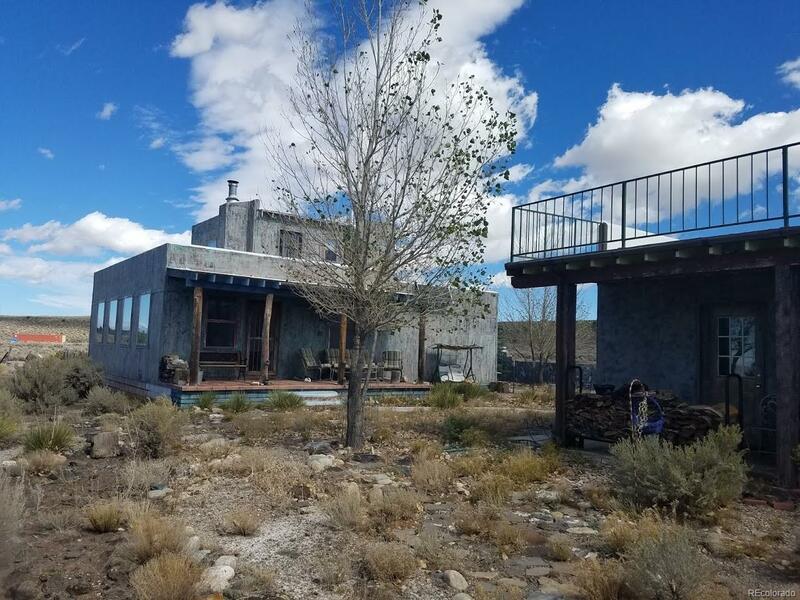 This all solar home is truly OFF GRID! The house has an upstairs room currenlty being used as a studio. The garage is detached and has a guest apartment upstairs. Downstairs in the garage there is also a unique workshop and sitting room. All the rooms make a beautiful mountain retreat of almost 3000 sq ft! The lot size is 2.66 acres. Furniture optional. Must see to believe this mountain retreat!